We will start with the Colosseum, originally known as the Flavian Amphitheatre, a huge stadium built in only 8 years that could accommodate up to 70 thousand spectators. It was used to host gladiatorial shows as well as criminal executions and animal hunts. Nowadays, it is one of the most visited monuments in Italy and the symbol of Rome. 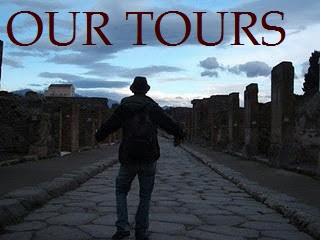 Then, we will be walking on the Via Sacra, to enter enter the Roman Forum. On demand, it's possible to add to the tour the Colosseum subterraneans (or Hypogeum), the arena floor and the third ring. 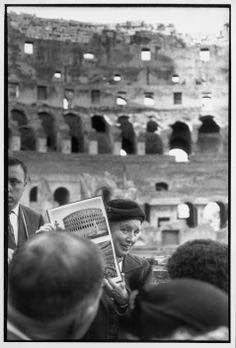 This tour gives you the chance to see 3 special parts inside the Colosseum. Because of the difficulties to find admission fees for the this tour in the high season, we suggest you to book it in advance (1 or 2 months before the departure). Christiaan was an excellent guide! He actually recreated the scence from Shakespeare's Julius Caesar where Mark Anthony reads the famous "I have come to bury Caesar" speech. What a terrific surprise! Christian, our tour guide, was very knowledgeable & very thorough. He made sure that no one got left behind in a very extensive tour plan. He added information that you rarely hear about and dismissed alot of false information.